Facing multiple deadlines, I look up at the ol’ calendar on the wall to notice November is in its dotage and I haven’t posted yet. I don’t update the blog as much as I used to, but I haven’t missed a month since I started it in April 2004 and I aim to keep the streak going. I swore a sacred oath years ago: The show goes on. The Stardust is never dark. It never has been. It never will be. Not while I’m alive. 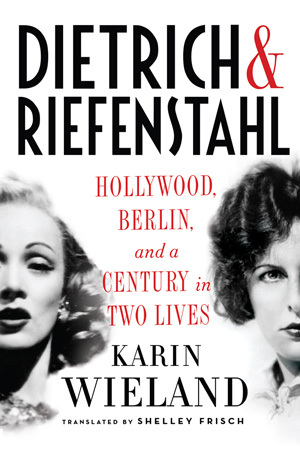 Dietrich & Riefenstahl: Hollywood, Berlin and a Century in Two Lives, by Karin Wieland. Wieland’s wide-ranging, meticulously researched dual biography stems from a remarkable happenstance. Marlene Dietrich and Leni Riefenstahl barely knew each other in Weimar Berlin despite living close enough for Riefenstahl to see into the windows of Dietrich’s apartment. Yet they would end up as icons of the opposing sides of the conflict that defined the twentieth century: Dietrich the imperious seductress who sacrificed herself for the boys during World War Two, Riefenstahl the filmmaker willing to glorify the Nazi regime in exchange for a budget as unchecked as her ambitions. Wieland’s book, featuring a supple translation from the German by Shelley Frisch, cuts back and forth between lives, the juxtaposition revealing surprising commonalities. It also benefits from judicious use of archival resources previously unavailable, specifically Dietrich’s letters and telegrams as well as Joseph Goebbels’ diaries, which illuminate Riefenstahl’s relationship with Hitler and the mechanics of the production of Triumph of the Will and Olympia. The closing chapters are particularly strong; decades after the war Dietrich, imprisoned by a glamorous image age will no longer permit her to live up to, retreats from the world while Riefenstahl, her films now viewed in a broader context, inhabits it more fully as she seeks the validation as an artist she believes history has denied her. A compelling look at two extraordinary women, both of whom appear in the just-completed second Lillian Frost & Edith Head mystery by Renee Patrick (aka me and the missus). The Comedians: Drunks, Thieves, Scoundrels and the History of American Comedy, by Kliph Nesteroff. 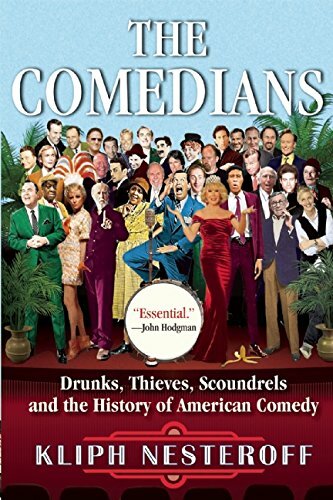 Anyone with a passing interest in show business will devour this book by standup comic-turned-scholar Nesteroff. Starting with vaudeville and ending with the death of Robin Williams, it chronicles decades of entertainment in a style simultaneously breezy and nuanced. Nesteroff is acutely aware of influences, tracking different strains of technique through generations of performers. Along the way, he offers deft thumbnail sketches of neglected names like pioneering female standup Jean Carroll, she of the evening gloves, and acerbic radio comic Henry Morgan. Even as the book moves into the modern era, Nesteroff still finds offbeat angles on familiar names. Bonus points for mention of the long-forgotten scandal that factors into Lillian & Edith #2. Blandings. Our new favorite show here at Chez K. We blew through both seasons in no time flat. Available on Acorn TV, this P.G. Wodehouse adaptation boasts a peerless cast. Timothy Spall is Lord Emsworth, the daft nobleman preoccupied with the health and well-being of his prize pig. Feckless Freddy is his son, played by the pitch-perfect Jack Farthing. Jennifer Saunders pointlessly tries to impose order as Emsworth’s sister. Familiar faces aplenty turn up as various relatives, bounders and braggarts. The biggest surprise was discovering that the location for Blandings Castle is in County Fermanagh, Northern Ireland, home to the Keenan family for millennia, in a tiny town I’ve visited several times.